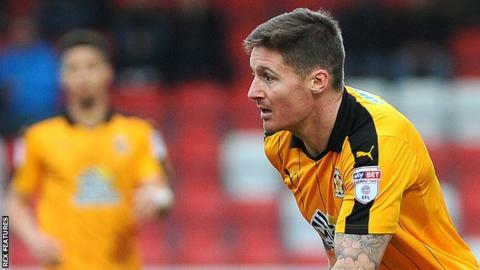 Cambridge United will hold discussions with striker Barry Corr "in due course", but have released six players. Corr, 32, only made seven appearance for the U's this season because of an ongoing knee injury and is out-of-contract this summer. Forwards Ben Williamson and Joe Pigott, midfielders James Dunne, Conor Newton and Dylan Williams, and goalkeeper David Gregory are all leaving the club. Defender Mark Roberts, 33, is transfer-listed after 31 appearances in 2016-17. The U's have said they will continue to support former Southend forward Corr during his rehabilitation and "discussions regarding his future will take place in due course". On-loan Max Clark (Hull), Scott Wharton (Blackburn) and Gerry McDonagh (Nottingham Forest) have returned to their parent clubs.